Grew Up… as the son of Geoffrey of Anjou and Empress Matilda of England in the 1100’s. His father died while Henry was young, and his mother has always been cold and demanding. Henry seems to have stopped maturing past the age of about 18 and his pastimes – drinking, whoring, and other debaucheries – have stayed fixed since that time. Living… in his castle. Henry spends his time between baths, councils, his court, and drunken forays into local brothels. He likes to go on daily hunts, the closest he ever comes to being near the people of his kingdom. They are, after all, lowly Saxons while he is a high-born Norman. Profession… King of England. He is ruling during a period of hard times, economically. The French are also causing him trouble in Normandy, taking his lands while he is across the channel, enjoying the life every King should be able to enjoy. Interests… hunting, drinking, dining, wenching, and generally having a good time. He is accompanied on these bacchanals by Thomas Becket, his friend and protégé, who arranges many of these debaucheries. Henry knows how to have a good time, as long as he’s with Thomas. His only problem is holding onto enough time, money, and power to sustain his royal lifestyle. Challenge… bringing Canterbury and the Church to heel. Power over the Church, Henry believes, will allow him secure his power in England and find the funds necessary to take back lands lost in Normandy to the French. But he has appointed Thomas Becket Archbishop of Canterbury, and they are not seeing eye-to-eye on this plan. And that is not the worst of it. 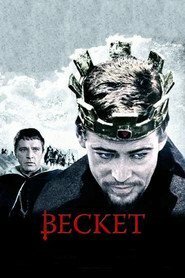 If he loses the friendship of Thomas Becket, will there be anyone left to have fun with? Personality… hedonistic, frivolous, and at times insecure. Henry speaks plainly, voicing his wants, desires, and complaints unreservedly. If Henry has something on his mind, he will likely be saying it. King Henry II's popularity ranking on CharacTour is #4343 out of 5,000+ characters. See our top-ranked characters and read their profiles.